Working has been rewarding, but retiring will be even better, especially when retiring in Shreveport-Bossier, Louisiana. The sister cities, located in the northwest corner of the state, are a mixture of Louisiana culture with a Texas twist. 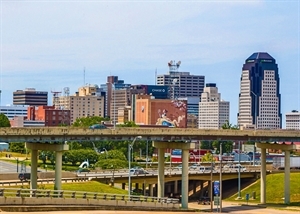 Shreveport-Bossier is the second most visited destination in the state. The things visitors love – gaming, riverfront shopping, festivals, sporting events and cultural attractions – are the same things retirees enjoy about the area. 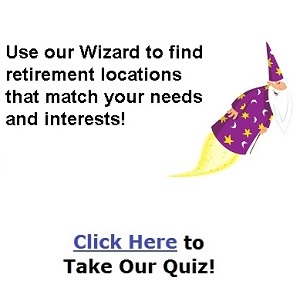 Other amenities that retires appreciate include the climate, tax structure, local housing availability, volunteer opportunities, healthcare and medical services, recreational areas and fun things to do. In 2018, the Encore Louisiana Commission named Shreveport-Bossier an official Louisiana Retirement Certified Area because of its appeal to retirees. This military-friendly community, home to Barksdale Air Force Base, is a great place to call home. The climate is warm, the food is spicy and the people here are extremely friendly. Includes Cities/Towns: Barksdale Afb, Bossier City, Shreveport. Jan 36.5 F° 46.4 F° 56.2 F° 4.6 "
Feb 40.3 F° 51.1 F° 62.0 F° 4.2 "
Mar 47.2 F° 58.5 F° 69.7 F° 4.2 "
Apr 53.8 F° 65.2 F° 76.6 F° 4.4 "
May 62.7 F° 73.0 F° 83.2 F° 5.3 "
Jun 69.9 F° 79.8 F° 89.8 F° 5.1 "
Jul 73.4 F° 83.3 F° 93.3 F° 4.0 "
Aug 72.3 F° 82.8 F° 93.4 F° 2.7 "
Sep 66.4 F° 77.0 F° 87.6 F° 3.2 "
Oct 55.0 F° 66.7 F° 78.3 F° 4.5 "
Nov 45.3 F° 56.0 F° 66.8 F° 4.7 "
Dec 38.3 F° 48.4 F° 58.5 F° 4.6 "
Spring temperatures are mild with averages in the mid 60's and highs in the mid 70's. Nights are cool with lows in the mid 50's. Summer temperatures are warm with averages in the low 80's and highs in the low 90's. Nights are mild with lows in the low 70's. Fall temperatures are mild with averages in the mid 60's and highs in the upper 70's. Nights are cool with lows in the mid 50's. Winter temperatures are cold with averages in the upper 40's and highs in the upper 50's. Nights are cold with lows in the upper 30's. The Shreveport-Bossier Sports Commission is always looking for volunteers to assist with sporting events in Shreveport-Bossier. These opportunities range from a one-hour time commitment to several hours over a course of a few days.